The Master in Finance offers a 360 degrees view of the markets, products and tools needed to take optimal decisions in financial problems such as asset allocation, portfolio management, corporate finance or risk management. 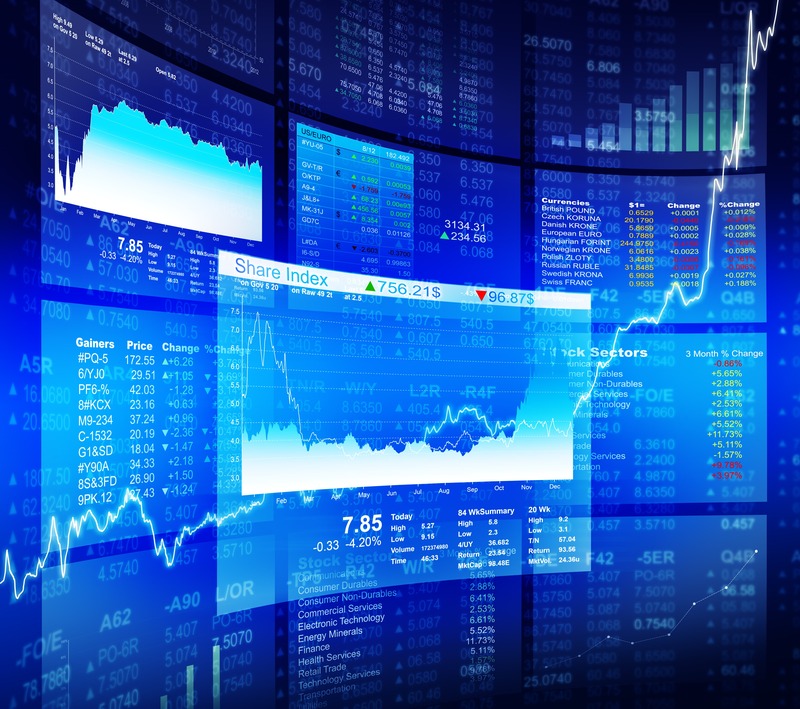 The Master in Finance provides the tools to understand Financial Markets and Instruments as well as the decisions that involve the use of such products in financial institutions and banks, corporations or the public sector. It is targeted to candidates who want to develop or strengthen their positions as risk managers, traders, financial analysts or corporate treasurers and who want to have a sound understanding of the financial decisions. To develop an ethical-based point of view of Finance as a means of creating value and providing stability. In the University of Alcalá we thank your anticipation and reward it with big discounts. Our Master in Finance allows you to make your training COMPATIBLE WITH YOUR WORK thanks to an innovative learning methodology. A SOUND PREPARATION for a total of 60 ECTS credits, which allow to cover in depth all the concepts and applications. A METHODOLOGY focussed on practice and context, using cases, real situations and technological tools that allow you to learn from the beginning. An UPDATED CURRICULUM, which ensures that our students are obtaining the latest knowledge in line with the trends and demand of Society. We have arranged a team of OUTSTANDING PROFESSORS with international experience in the Financial Sector. We develop a COMMUNITY AND ENVIRONMENT that allows students to keep in contact with the professional sector, with seminars and activities to enrich your training experience. We will help you to design your PROFESSIONAL DEVELOPMENT PLAN to exploit at its most your talent and knowledge. Study your program at the UNIVERSITY OF ALCALA, one of the best Universities in Europe. The University of Alcalá has a scholarship program and agreements with banks to help finance your master's degree. The Master in Finance targets both professionals and young graduates interested on understanding how financial decisions are taken and how to improve the decision making process to increase value for the clients and stakeholders in a context of financial stability. The profile of candidates is very open: young graduates in any area of science, engineering or humanities engineering as well as professionals with a higher degree can apply. Since some subjects require a basic knowledge of quantitative methods and programming the Master assumes a personal implication of the students which, in some cases, will need to complement their background in those areas. Financial Markets. Valuation of Fixed Income Instruments. Valuation of Equity Instruments. Valuation of Options, Futures and other Derivatives. Microeconomics and Industrial Organization. Macroeconomics. International Economics and the Global Financial System. Linear Models. Hypothesis testing. Nonlinear models. Forecasting. Financial Statements. Analysis of Financial Ratios. Financial Reporting. Value at Risk and other risk measures. Market and Credit Risk. Back and Stress testing. Fundamentals of Programming. Introduction to R and Python. Financial Applications. Cash Flows and Basic Valuation Models. Optimal Financial Structure. Advanced Valuation. Digital disruption. Electronic Markets. Bank of the Future. FINTECH Business Models. Preparation and defence of a research paper in any of the areas of the Master. Markowitz ‘s Model. Capital Asset Pricing and APT. Active and Passive Management. Measures of Performance. The professors of the Master in Finance is a group of are university professors with a long training and research track in Finance and professionals with a sound experience in Corporations or Banks. Tenured Associate Professor of Economics (Finance) and of Computer Science (Artificial Intelligence) at the University of Alcalá. Fulbright Visiting Scholar in several US Universities and consultant for several Spanish Fortune 500 companies and for the Government. He has authored more than one hundred publications and has lectured in the USA, Asia and Latin America. Director of the Laboratory of Computational Finance and Head of the Chair in Big Data and Predictive Analytics in Banking of the University of Alcalá. Ms. Kim Chawsu is a finance and banking expert with experience in Myanmar and overseas. She is also trainer for International Finance Corporation (IFC) and Myanmar Institute of Directors (MIoD). Prior to NYDC, she was a Group Chief Financial Officer (CFO) at Kanbawza Group of Companies. Previously, she was a Managing Director and Head of International Banking Division and Transformations at Kanbawza Bank. Kim qualified as Chartered Accountant from New Zealand & Australia and holds a dual membership with Institute of Chartered Accountant England and Wales (ICAEW). She is also a Fellow Director with the Thai Institute of Directors. She spent over 19 years working in external audit and financial services in New Zealand and London. Co-founder and CFO of Valentis. He was as an Associate Director of KordaMentha, a leading Australian corporate advisory firm advising, among others, in an ~$2b rail procurement project, and a ~$200m coal-fired power station. He also acted as an advisor to Billabong International. He is a co-founder and board member of the Australia-Myanmar Chamber of Commerce. Ben Koo has and extensive experience working at top tier institutions including Goldman Sachs, Macquarie Group and Deloitte. He is currently Advisor to the CEO of Yoma Strategic Limited, Co-Founder of Green Eastern Agri and financial advisor to several mid-sized companies in Myanmar. Ben was previously Co-Head of Pan Asia Financial Institutions and Co-Head of ASEAN Investment Research at Goldman Sachs (Singapore). He was recognized by Thomson Reuters as the most accurate investment analyst covering the financial services industry across Australia & New Zealand in 2011. Ben also served as a Non-Executive Director of a not-for-profit endowment fund in Australia. Jason has over ten years of experience in financial institutions across the U.S., Africa, and Asia. He worked in the Investment Banking Division of Goldman Sachs (NY), attaining Series 7 and Series 63 certifications while working primarily on Debt Capital Markets transactions. He ha taught Masters-level courses on Corporate Finance and Multinational Finance while in the U.S. He has advanced professional expertise in microfinance, impact investing, and digital financial services. He has a M.A. in International Finance and Development from Johns Hopkins University, and a B.A. in Economics and Political Science from Duke University. Nikhil is an expert in Business & Financial analysis with innovative solutions across diverse industries for Corporate Finance and Investment & Financial management. Currently, he is an Independent Financial Analyst for High-Net worth Investors and business groups to provide solutions for their Investments, Portfolio and Risk Management. After graduating in Bachelor of Engineering in Information Technology, He started his career as Financial Engineer with HSBC Global Technology, India and later worked with US based Winsoft as Business Analyst in providing Financial solutions to top most banks, institution and brokerage houses in USA. 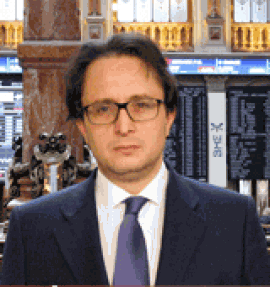 Enrique is a lecturer at several Finance programs of the University of Alcalá. He has lectured in Europe, Asia and Latin America. He holds a bachelor’s degree in Business Administration and a Masters in Quantitative Finance. He was a Senior Analyst at ING and is currently a researcher at the Laboratory of Computational Finance where he has consulted for companies such as Repsol or Santander. Miguel Angel is CIO-Investments Director at Lignum. He previously worked at Ecclestone Partners and Bankia. Miguel Angel is a seasoned Portfolio and Wealth manager. He holds a BS in Business Administration, an MS in Finance and currently he is pursuing his PhD in Cryptocurrecy investments. Become a professional with a full understanding of the concepts, tools and applications of Artificial Intelligence.